31st District Court 3401 Evaline St. 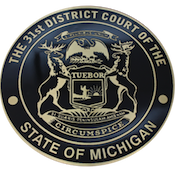 The 31st District Court located in Hamtramck, MI, is pleased to offer an online traffic ticket review process for eligible traffic tickets issued by the Hamtramck Police Department. This allows you to request a review of your traffic ticket online at your convenience.